Home Pinball How much does a pinball machine weigh? How much does a pinball machine weigh? One of the questions that gets asked a lot is, “How much does a pinball machine weigh?”. For most of the games of the games from the 80’s to today, games weigh around 250 pounds. There are a few exceptions to that though. Widebody games from 90’s (Twilight Zone, Star Trek The Next Generation, etc) weight close to 300 pounds, and Pinball 2000 games weigh almost 350 pounds. The new games from Jersey Jack Pinball are very heavy as well, with Wizard of Oz weighing in a 310 pounds and The Hobbit weighing in at 350 pounds. If you’re buying older EM games, bad news, they’re very heavy as well with some of them pushing 300 or more pounds. Four player EM games are especially heavy, the two additional reels in the backbox make it especially heavy. A lot of people try to move pinball machines by picking up both ends (without the legs on) and carrying it like a heavy box up and down stairs. That works but it’s very heavy to do that. A much easier way is to use a dolly to move it up and down the stairs. You’ll still need two people, but it’s much easier to manage the weight. If it has the legs on, furniture movers also work for sliding it around. Also if the game is older and the head removes easy, I highly recommend doing that to save your back. It’s a life saver if you move very many games up and down stairs. 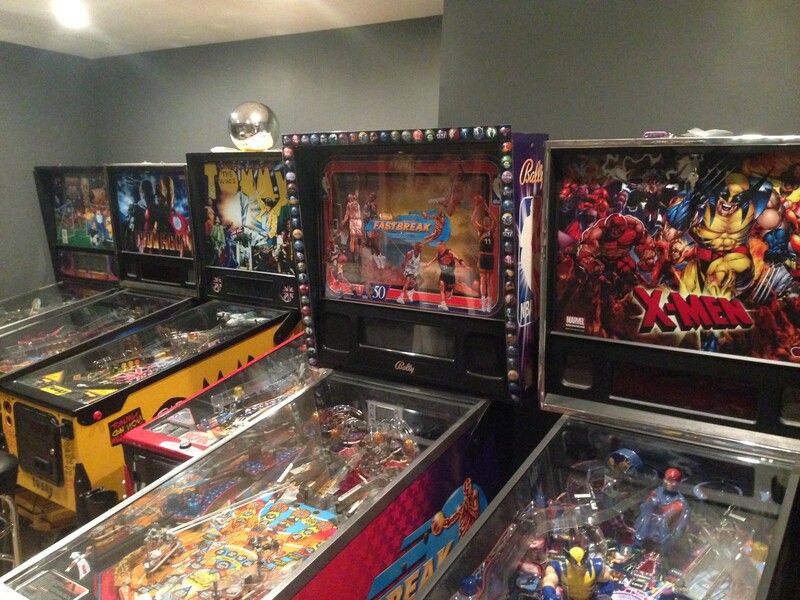 Probably the best money I’ve ever spent in the pinball hobby (got it off craigslist). With that, you can move a game by yourself pretty easily as long as you take your time and have adequate upper body strength. If you decide you want to buy one of these in the future, I’ve worked a special deal where if you use my referral code (122212) they’ll give you a free accessory (up to $200) with your order. I thought that was a pretty sweet win-win scenario.